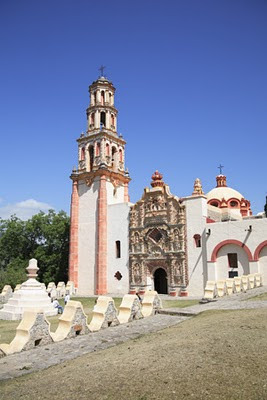 Off the beaten path in Mexico are five missions, all UNESCO World Heritage sites, rarely visited by foreign travelers. 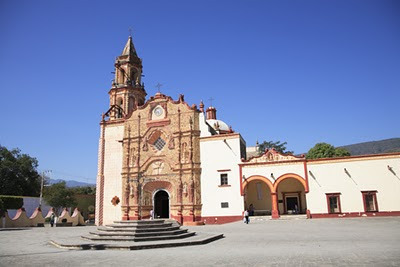 They are known as the Sierra Gorda Missions due to their location in this mountainous region in Queretaro state and were designed by Franciscan Fray Junipero Serra. 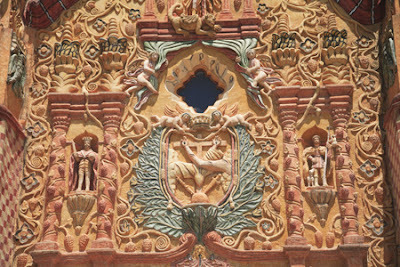 Born in Spain he also founded the California Missions. Baroque in style they were built in the 18th Century and their ornate facades look good enough to eat. 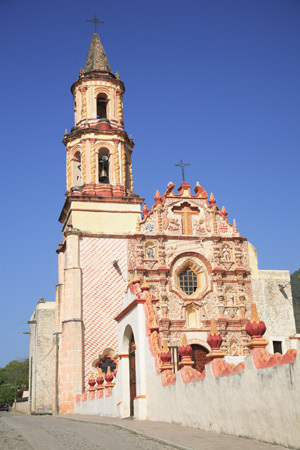 Pictured above is the Conca Mission. Here is its cousin in Jalpan. The Landa Mission was completely empty and peaceful. The Tilaco Mission seemed to be more popular. 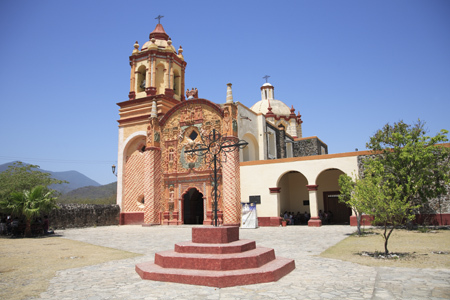 The Tancoyol Mission was the last we visited. The best way to see the missions is to base yourself in Jalpan and arrange a taxi for the day to see the other four. They aren’t far apart and the taxi costs about $50 for the day, a bargain if you have a traveling companion or two. You can get to Jalpan from Mexico City via Tequisquiapan, which takes about three hours. I recommend overnighting in Tequisquiapan, a picturesque colonial town. From there it’s a four to five hour ride to Jalpan. beautiful clear shots and this was a great trip all round - including the 800 hairpin bends to Xilitla!! this is a great post. 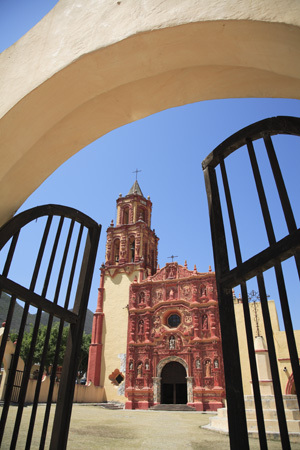 i love missions. but first i have yet to complete visiting all the missions of california. Catherine, I remember all of this hairpin turns! It was a great trip. Photo Cache, I have only seen a few in Cali. I love the Santa Barbara Mission. Beautiful shots, Wendy. I've been to a couple of the California missions, and the atmosphore was quite wonderful.